We all love a good story, don’t we? Stories engage us and teach truths we might not otherwise understand. That may be why Jesus taught in parables. When our eternal destinies hang in the balance, a good story is often the best way to get our attention. Recently Dr. R.C. 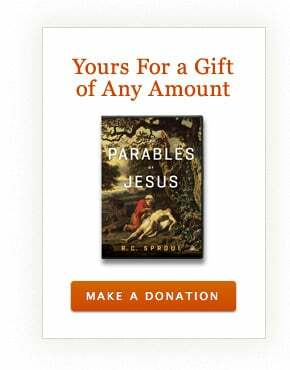 Sproul completed a new teaching series, The Parables of Jesus. In this 12-part study, he explores several of Jesus’ well-known parables and what they say about living for the kingdom. While much of our outreach takes place through online media, occasionally we make available popular teaching series on DVD when you give a gift of any amount to sustain our ongoing Bible teaching efforts. We want to help people understand the parables of Jesus and the riches of Scripture so that they can bear fruit for the kingdom. Your gifts and prayers enable us to continue this work through our many outreaches. Will you help us this month? And feel free to spread the word to friends, family, and those in your church. Note: Offer expires 05/31/13. Please allow up to 6 weeks for delivery after your gift is processed. Contributions are tax-deductible as allowed by law. For federal income tax purposes, the deductible portion of your charitable contribution is limited to the excess of the money contributed over the value of the goods provided. Our good faith estimate of the value of this resource is $43. Offer valid in U.S. and Canada only. Thank you for your support.